With 952 square feet of living space, the Commodore unit has ample room for you and two furry friends. This two-bedroom, two-bathroom apartment is a great addition at the Melrose in Nashville. Housed in a re-claimed 1940s movie theater, the Melrose Apartments are a perfect blend of new luxury and vintage-cool. Our flexible pet policy and community atmosphere make the Melrose Apartments a perfect place to call home. Our two-bedroom Commodore unit is not only graced with ample living space, it shares the high-design elements that the Melrose Apartments are known for. Solid wood cabinetry, stainless-steel appliances, modern lighting fixtures and stained concrete floors provide a well-appointed, move in ready apartment in a great area of the city. With onsite management and 24-hour emergency maintenance you know you’re always taken care of. The Melrose Apartments are in the vibrant and historic Melrose neighborhood of Nashville. With a great mix of gourmet restaurants and outstanding bars, this area has a spectacular night-life scene. Pair that with its convenient location to Vanderbilt University and the I-85, the rest of Nashville is at your fingertips. Your new home at the Melrose is waiting for you today. 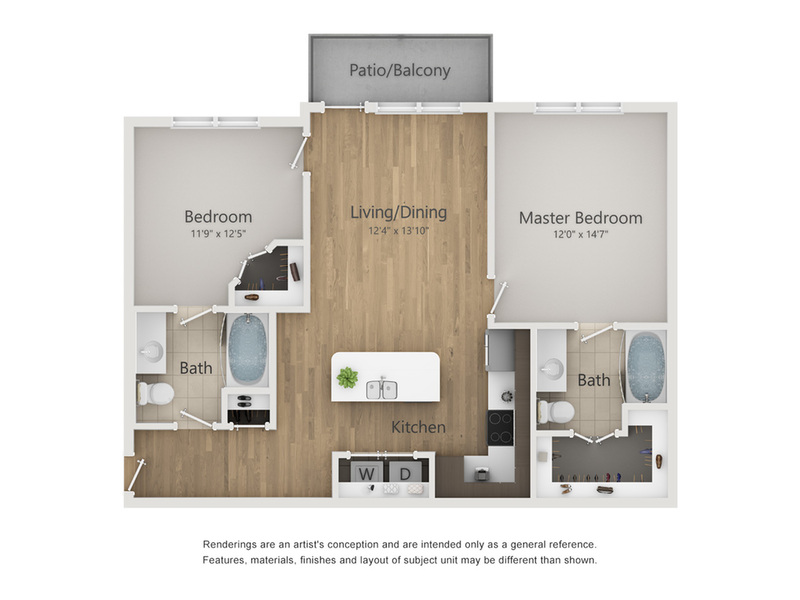 Call (615) 696-7448 now to tour the Commodore luxury two-bedroom apartment, or simply click here to apply.